With the proliferation of e-commerce, 43% of the fintech players in Indonesia are in the payment sector, with offerings ranging from mobile payment to payment gateway, according to the Indonesia Fintech Association (IFA) report 2017. The growth of e-commerce has resulted in such a trend. Indonesia’s fintech market is booming, said the report, authored by More independent fintech startups are joining the market. 2015 to 2016 saw fintech companies grow by 78 per cent, with 20 foreign venture capital (VC) firms buying stakes in the local fintech scene. With such a sharp increase, the IFA was formed to introduce transparency, regulation and reliability to Indonesia’s fintech ecosystem and to protect Indonesians from any potential financial fallouts. There are more than 120 fintech companies in Indonesia today. 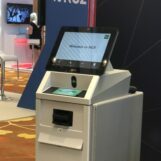 As the fourth most populous country in the world and with tremendous economic growth charted in the 1990s, Indonesia’s fintech industry sits on huge opportunities. The country’s gross national income per capita has steadily risen from $560 in the 2000 to US$3,374 in 2015. It is also a very Internet savvy country, with Internet users exceeding 100 million. 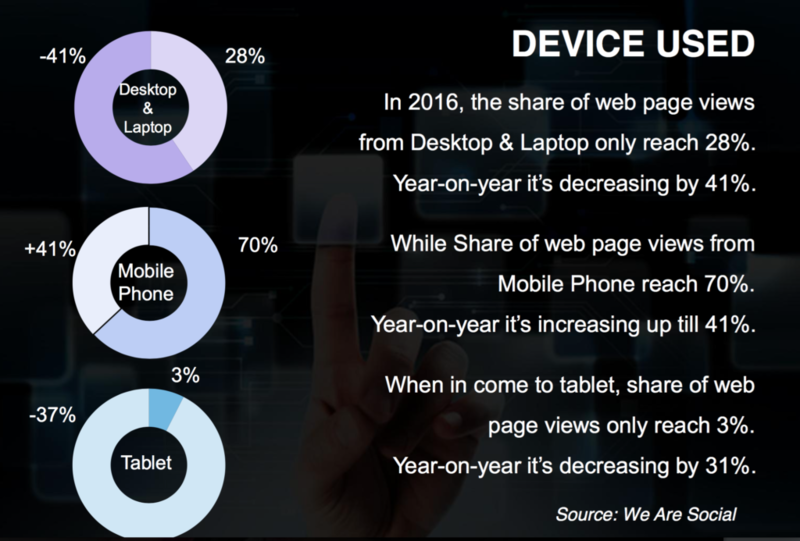 Desktop and laptop use has fallen year-on-year by 41 per cent, despite showing a 28 per cent increase in webpage views from those two devices. Mobile phone web page views have reached 70 per cent, with usage growing 41 per cent year-on-year. 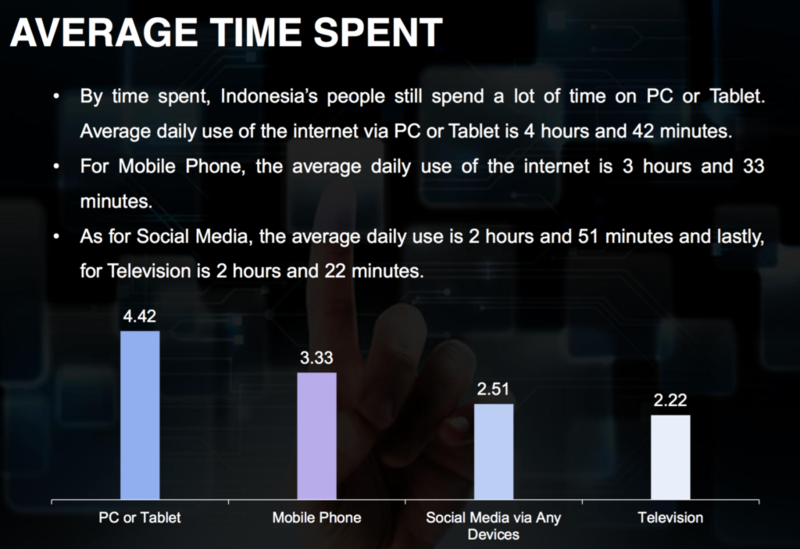 Indonesians are also heavy users of social media, averaging nearly three hours daily. But only a third of Indonesian adults use the services rendered by a formal financial institution. The penetration of bank branches per 100,000 population is only a sixth of the penetration in European countries, said the report. There are 49 million small and medium enterprise units that have not been financed, with a RP 988 trillion gap in financing needs. 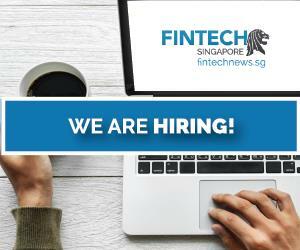 The report noted a huge market potential that could be targeted by fintech, especially peer-to-peer lending, without having to erode banks’ market share. The total disclosed amount of funding for in 2016 for fintech startups is Rp 486.3 billion. East Ventures is the most active local VC so far, that has invested heavily into fintech startups in Indonesia. 500 Startups is the most active foreign VC in Indonesia’s fintech ecosystem, with three investments this year. Their portfolio includes iGrow, finAccel (Kredivo), and Kudo. The others VCs active in Indonesia include among others Jungle Ventures, Wavemaker Partners, Northstar Group, Sequoia India, private investor funds from Europe and Beenos Plaza. IFA also conducted a survey using the JakPat platform, sampling 1,000 respondents of which 51.05% are female and 48.95% are male. It found that 71.66 per cent of the respondents have not heard of the word “Fintech”. For those who know or ever heard of the word “fintech”, 36.13 per cent of them defined it as Financial service to empowering technology. 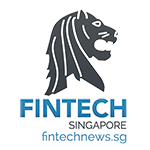 For those who use the fintech services, 81.08 per cent said they use fintech services owned by bank, while 10.27 per cent used non-bank fintech services. Only 8.65 per cent use both. On an encouraging note, 74.47 per cent of respondents believe that fintech can help pushing the idea of better financial literacy and financial inclusion in Indonesia. Based on a survey by Deloitte Consulting and Fintech Association Indonesia in 2016, fintech players feel that Indonesia’s fintech sector needs clearer regulation, have more collaboration, are lacking talents, and struggle with financial literacy. 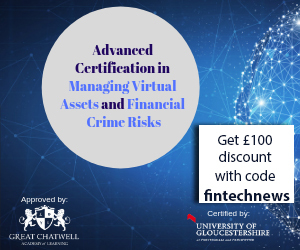 The highest demand for increased or clearer regulation are for Payment Gateway (60.90 per cent), e-money/e-wallet (58 per cent), and Know-Your Client (56.5 per cent). Almost half of fintech players (49 per cent) feel that current regulatory process is slow and 61 per cent of them feel that regulation in Indonesia today is unclear. The Indonesian government has responded to these calls and they promised that by the end of thos year there would be clearer regulation for fintech. The country’s Financial Service Authority (Otoritas Jasa Keuangan – OJK) would look into building up data security, online lending regulation and consumer protection. The central bank Bank Indonesia would look at data security, financial system stability and safer payment transactions for the private banking sector. 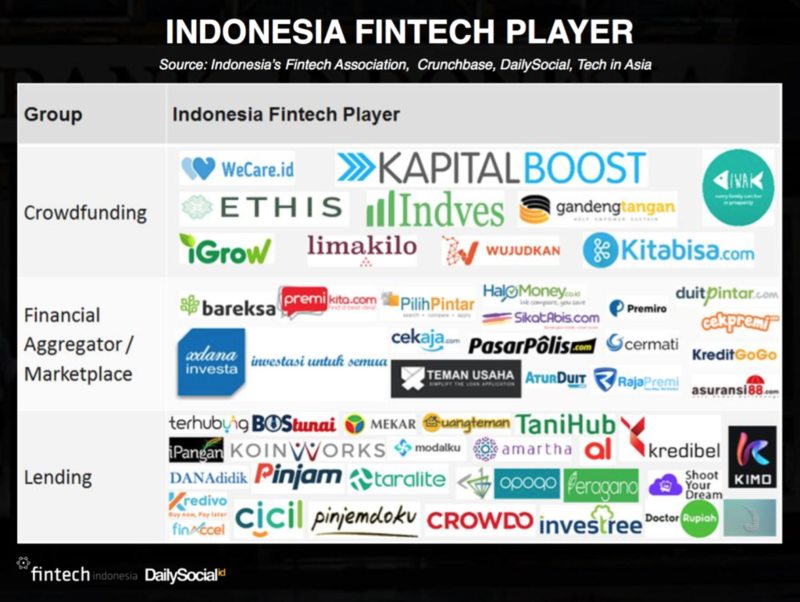 —> Check also out the Fintech Indonesia Startup List and Report.